Thank you for joining us for the Party Time Challenge and we hope you will all join us again this week too. We would like to take a moment to wish you all a Very Happy New Year! 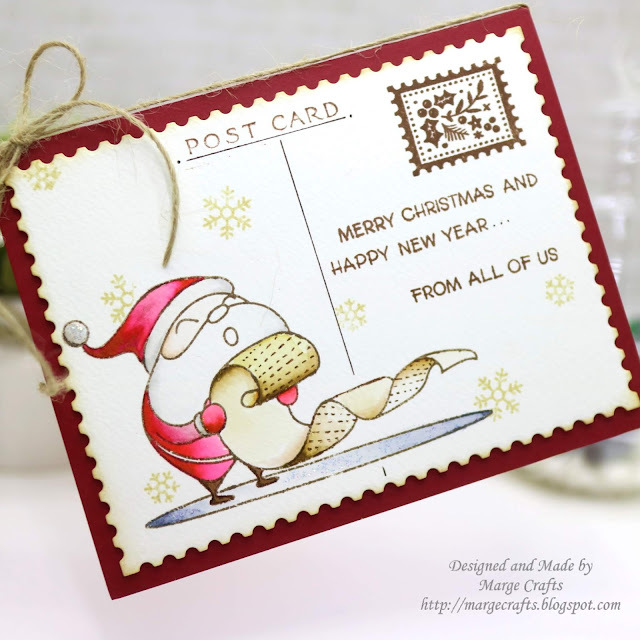 Thank you all so much for joining in with the challenges throughout 2018 and we are looking forward to seeing what crafty delights 2019 bring! 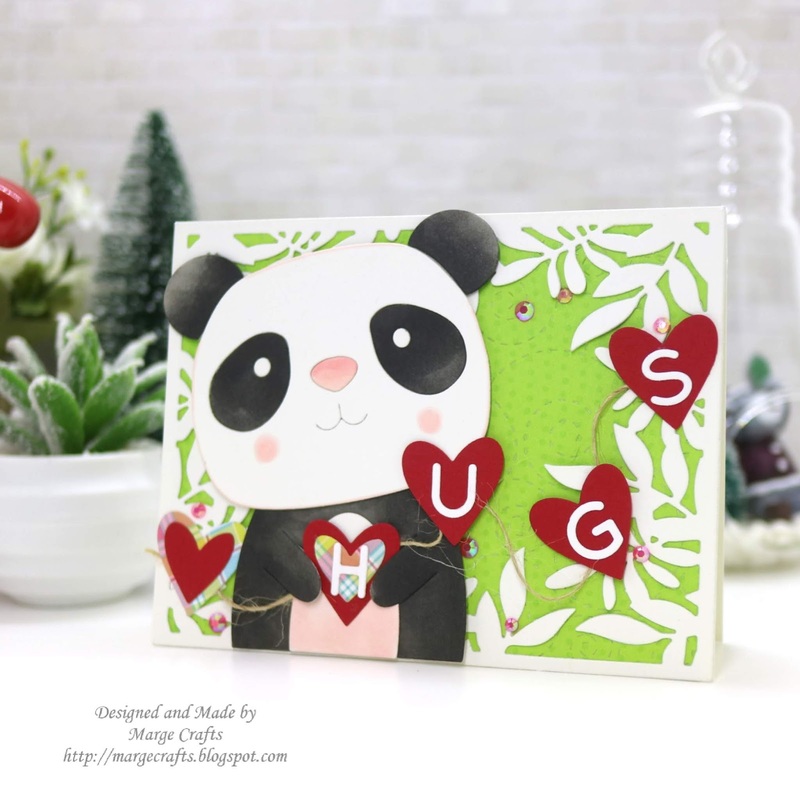 We are showcasing Stampendous Products this week. You don't have to use them to join in but if you have some we would love to see them used. Other than Stampendous stamp set, all supplies used are from Simon Says Stamp. 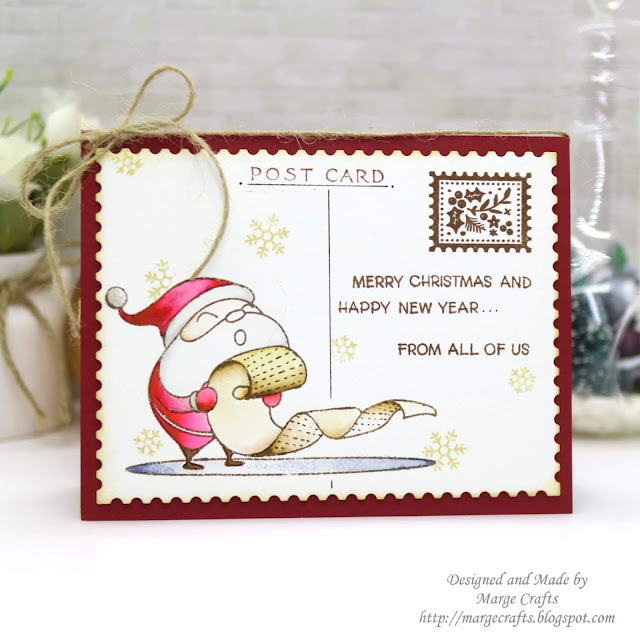 To begin, I stamped Santa from Christmas Cheer set which was included in the Simon December Card Kit on Watercolor paper using Sepia ink. I watetcolored the image using my Zig Clean Brush Makrkers. I then diecut the panel using Postage Stamp Edge Frame Die. 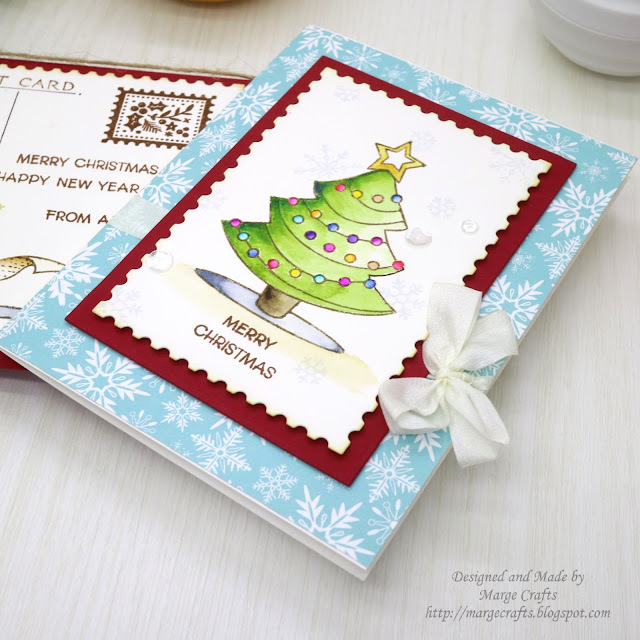 Next, I stamped holly berry postage stamp image and snowflakes from the same stamp set and I drew lines to make my panel look like a real post card. 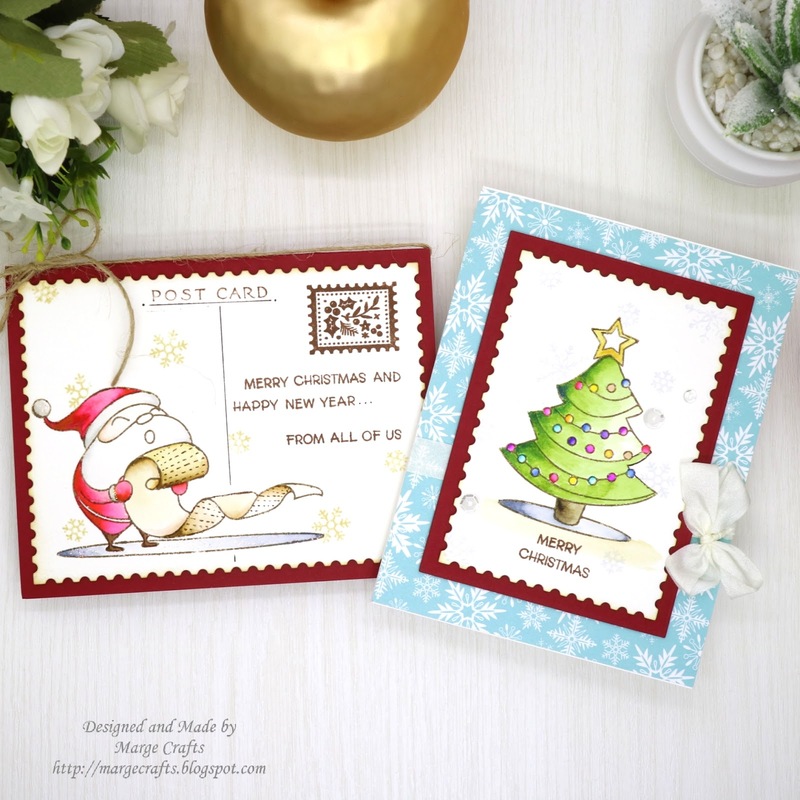 Instead of writing messages, I stamped my greetings using Greetings Galore set . Then I inked edges a little with Tea Dye ink. I really wanted to put this post card in a mail box, but I had to foam mount it onto Schoolhouse Red Card Base, lols. Oh, the letter "Post card" was from Tim Holtz Postcards set. Finallyn I added a little sparkle using Stickles Diamond and a twine bow using Rustic Wedding twine from Crafter's Companion. 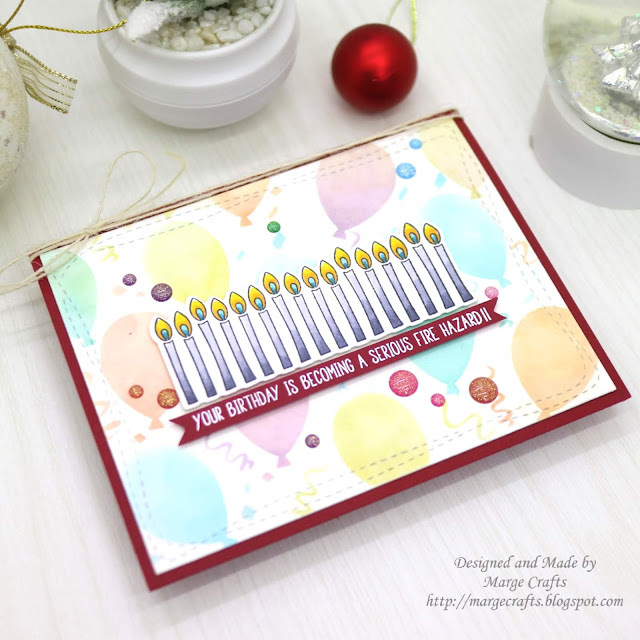 I love that the Greetings Galore set has lots of useful sentiments that can be used for all occasions through the whole year and I love their fonts, too. This set is highly recommendable. I used similar items for my second card. 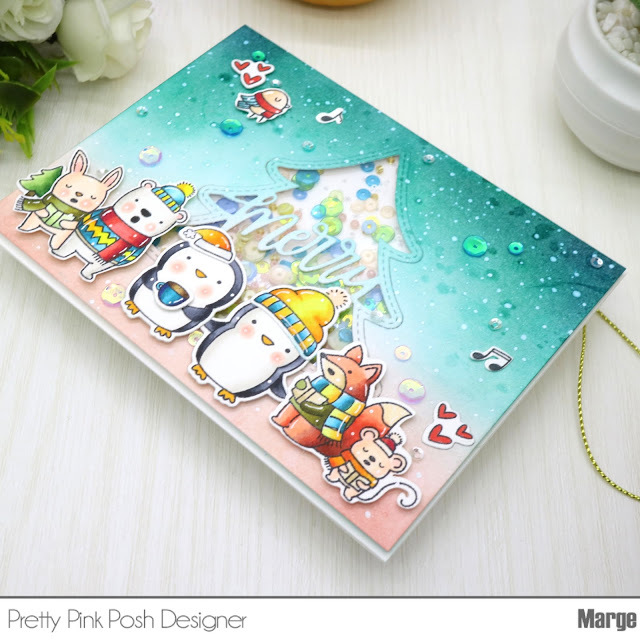 The blue snowflake pattern paper is from Simon Kit, which you can get separately from Carta Bella Santa's Workshop 6×6. I embellished this card using white ribbon and Sparkling Clear Sequins Mix. That's it from me for today.Which one do you prefer ? 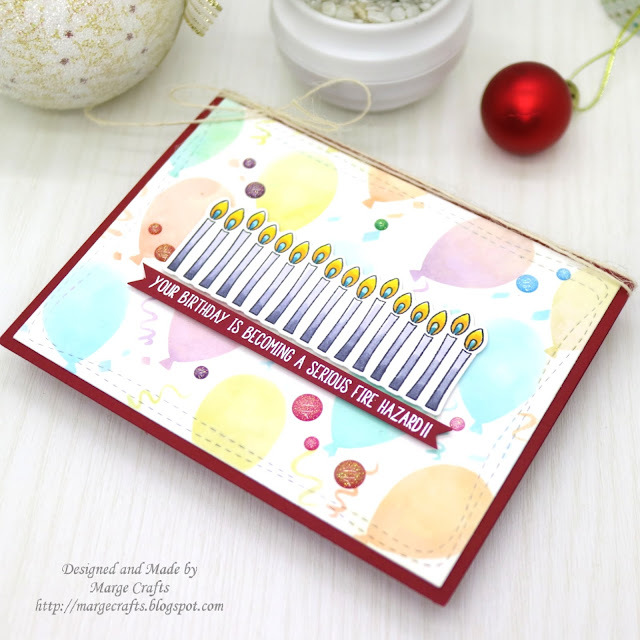 Happy Crafting & Happy New Year! Thank you for all your support, friendship and beautiful inspiration. It's been a great year to have spent time with you, I really appreciate. Here's a fun Christmas card I made thinkg of you. I colored images from Penguin Pals, and Caroling Critters using my copic markers. 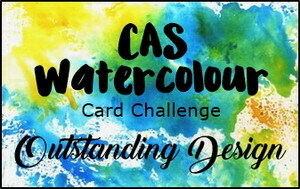 Background panel was made by ink blending of Bristol paper using some Altenew Dye Inks. I then cut a window using Tree Shaker Dies. 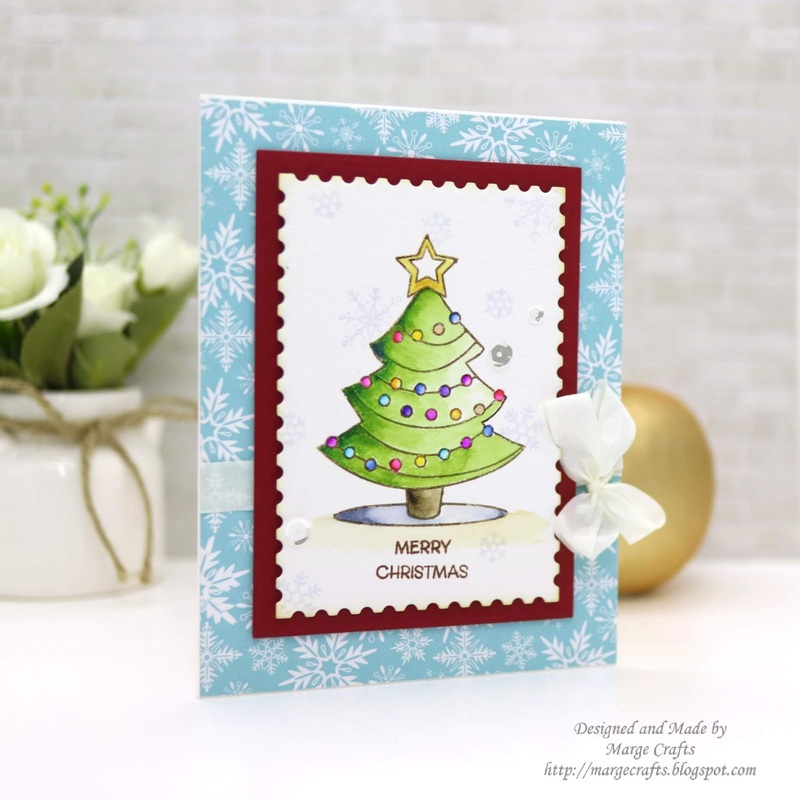 A piece of white paper from Lawn Fawn Really Rainbow Christmas 6×6 was used for shaker background. I put various Pretty Pink Posh Sequins into the shaker : Share Kindness Mix, Mermaid mix, Sparkling Clear Seed Beads, Gold Shimmer Seed Beads, and Blush Seed Beads. I adhered my images using glue and foam tapes, and added snows using a white gel pen. As a final touch, I embellished my card with Ocean Spray, Pink Ballerina, and 3mm Sparkling Clear sequins. The colors I used are as follows. Ink : Emerald, Mountain Mist, Desert Night, Cosmic Berry, Rouge, Blush from Altenew. Thanks for your visiting, my friends. May all your wishes come true in this holiday season. It's time to put on your glad rags and party!! Here's my card on which I used Rainbow Sparkle Gumdrops and Watermelon Party Gumdrops. I made a birthday party card because it was really my birthday when I made this. I made it just for me celebrating my own :) Hope you will like it, too. For the background, I did stencil using Celebrate Stencil and distress inks and Detail Blending Tools then I diecut the panel using Wonky Rectangles Dies. 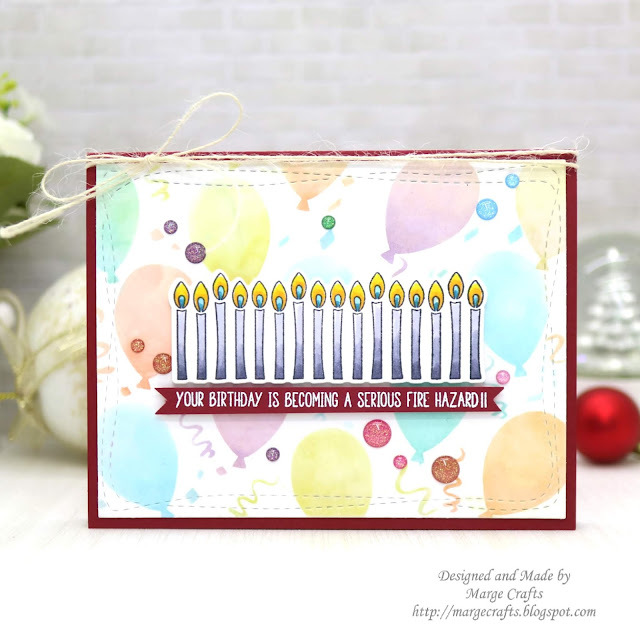 I colored candles from Birthday Borders Stamp set using my Copic markers and diecut the image with Birthday Borders Coordinating Dies. 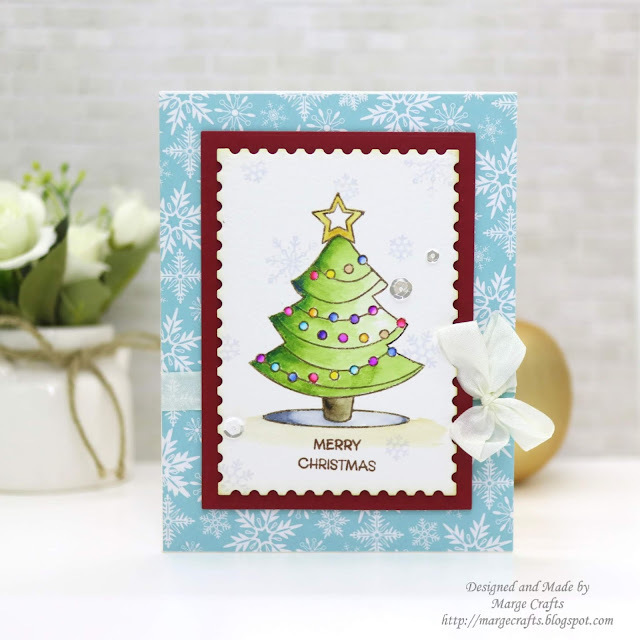 Sentiment from the same set was heat embossed in white using Fine Detail White Embossing Powder, which I found is super fine to be used in small and/or thin sentiment and highly recommendable. I foam mounted candles and sentiment on the panel then I foam mounted the panel onto the Schoolhouse Red Card base. I then embellished my card using Rainbow Sparkle Gumdrops , Watermelon Party Gumdrops and May Arts Ivory Twine. I really love fun colors and sparkles of these gum drops from Your Next Stamp. Do you remember Simon Says Stamp's special Peaceful Christmas Holiday Tag Kit which had gone so fast in a day? I was very lucky to have chance of ordering it and a couple of days ago I received my goodies ! 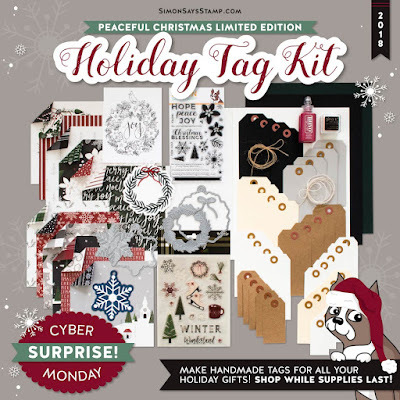 Although the kit is no longer available, you can buy each item at Simon Says Stamp Store. 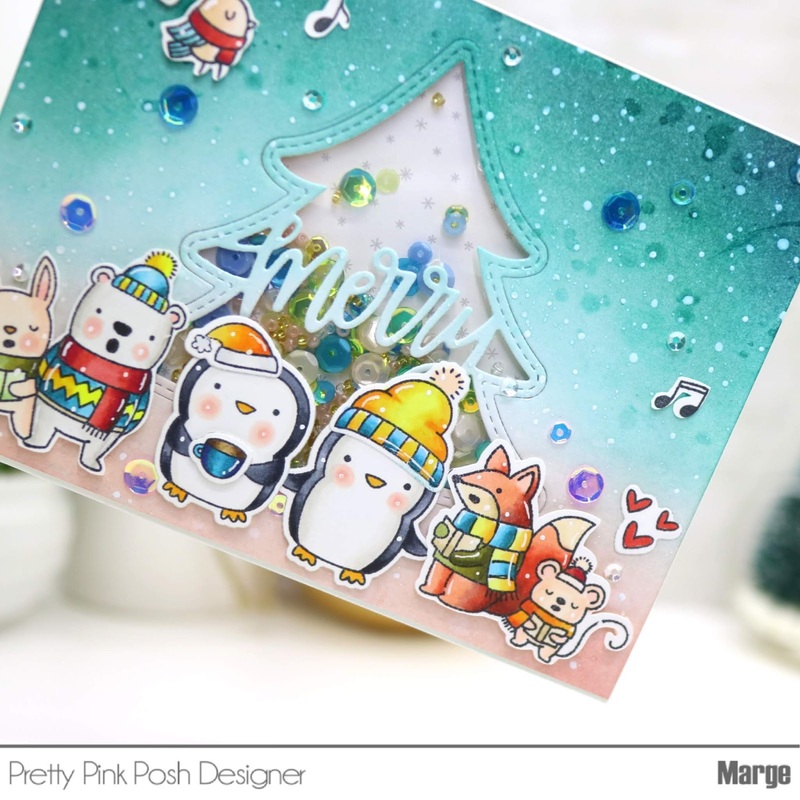 I love that this kit has a few fabulous stand alone dies and I played with it as soon as I got it since I was still in short of Christmas cards to send out, lols. 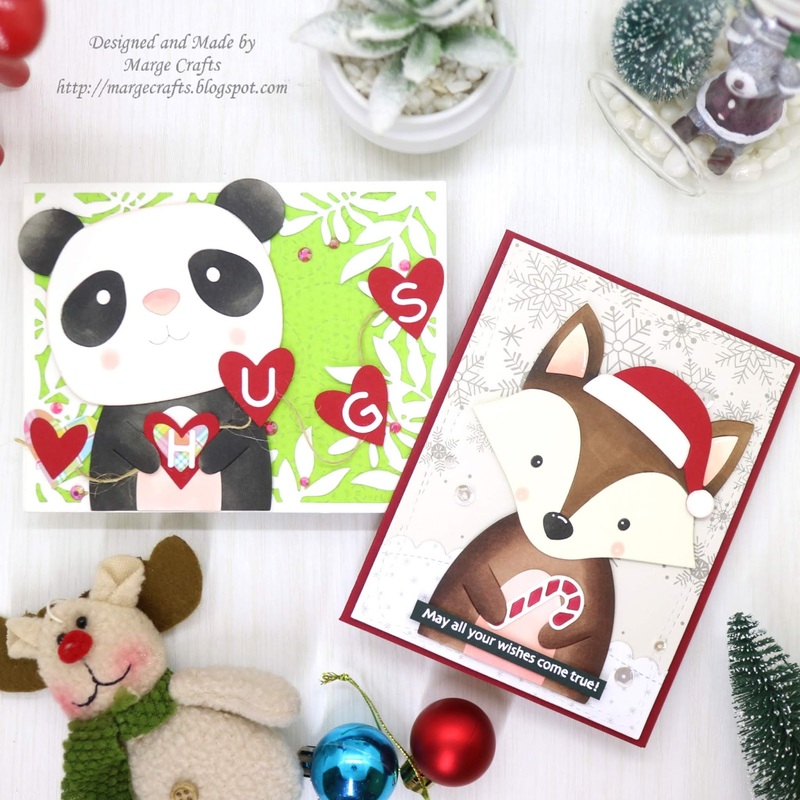 So here I'm sharing four simple cards with you, today. 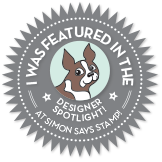 Most of stamps, dies, and design papers are included in the kit and I'll briefly share details for each card below the photo. Supplies : Snowflake Tag Die, Peaceful Christmas Stamp and Coordinating Dies, Ivory Card Stock, Schoolhouse Red Card stock, Peacock Teal Card Stock, Fine Detail White Embossing Powder, My Mind's Eye Winterberry 6×6, 3mm Sparkling Clear Sequins, Sparkling Clear seed beads, Pewter seed beads, Starry Sky Jewel Mix, Darice Foam Tapes, Acetate Film. 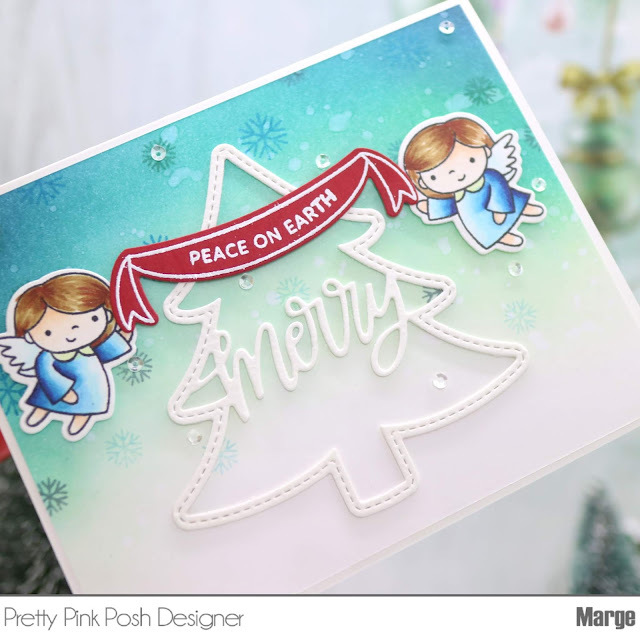 Today, I'm going to share a Christmas Card featuring some old and new products from Pretty Pink Posh. I stamped Angel Friends on 80lb Neenah White paper using Memento Black Ink then I colored the images using my copic markers. 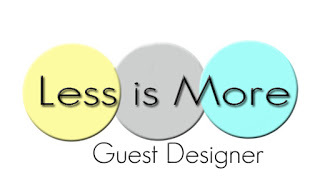 For the banner, I stamped the image and sentiment on red card stock with clear embossing ink then I heat embossed it with white embossing powder. I then cut them all using Angel Friends Coordinating Dies. For background, I ink blended a piece of Bristol paper using Distress Inks : Cracked Pistachio, Peacock Feathers, and Twisted Citron, then I splattered water onto it. I pulled out Holiday Greetings set to pick two pieces of snowflakes and stamped them all over the panel using various colors of dye inks. I diecut Tree Shaker Die out of heavy weight watercolor paper twice then glued them top on op using Multi medium matte. 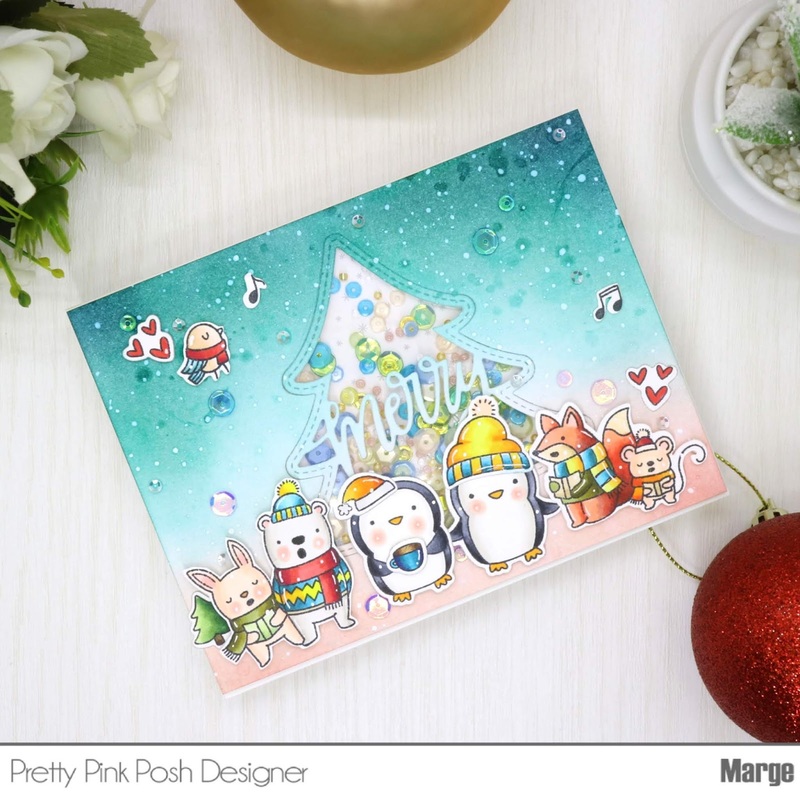 I adhered all the elements on my colored panel as in the picture, then I embellished my card using 3mm Sparkling Clear Sequins. Thanks for your visiting and reading this post. Hope you will have a great day ! Thank you for joining us for the Wrap It Up Challenge and we hope you will all join us again this week too. Christmas will soon be here so lets try to get everything we need to make covered this week! Here's my card for this week. I used Angelina's Christmas Stocking Stamp set from Creative Expressions. I started by stamping Angelina's Christmas Stocking onto 140lb Cold Press Watercolor paper using Versafine Sepia Ink. I watercolored the images using my Zig Clean Brush Markers. Next, I diecut another card stock by using Simon Holly Oval Framr Die, and then run it through again in Tim Holtz Lumber 3D Texture Fades embossing folder to give the front cover woodgrain texture. I put this window frame panel onto my colored piece using foam tapes. Then I added sentiment from Winter Scene, which was heat embossed in white on Schoolhouse Red Card Stock. Finally, I adhered the panel onto 100 Neenah Desert Storm Card base and finished off my card by adding some Sparkling Clear Sequins. Here's another card I made using the same Stocking Stamp set, in which I used Midnight Green Cardstock and a few colored sequins for to give some color variation. 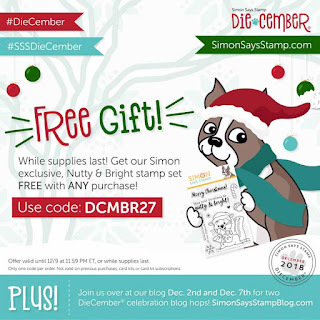 I'm so honored to be joining the Simon Says Stamp Dicember® Blog Hop Day 2, today. Thank you for inviting me to this party, Simon Team. 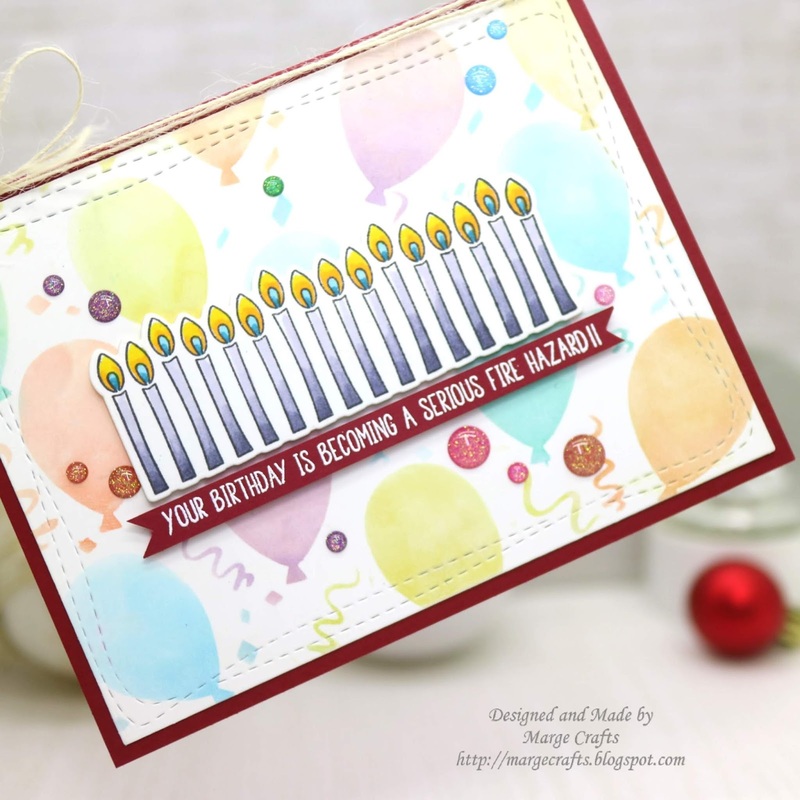 As this is Day 2 of Blog Hop, we already had Blog Hop Day 1, last Sunday. 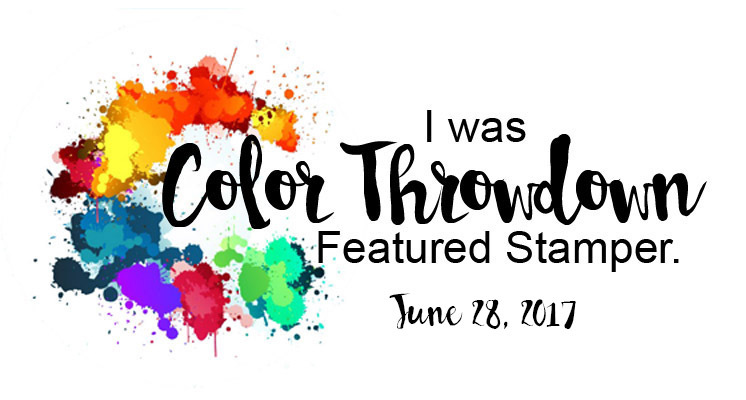 Please be sure to visit the Day 1 Blog Hop Post if you haven't done so far. 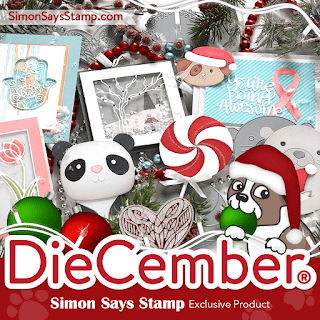 I'm especially excited about the Diecember Release since I'm a Dies person rather than a stamper. I started my crafting journey by purchasing a Big Shot machine a few years ago after I was amazed by so many beautiful paper crafting works. Honestly I even hadn't known stamps before then, lols !! If you came here from amazing Karin's blog, then you are on a right track. 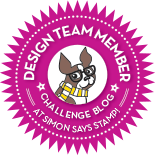 Or you can start your hops at Simon Says Stamp Blog , too. 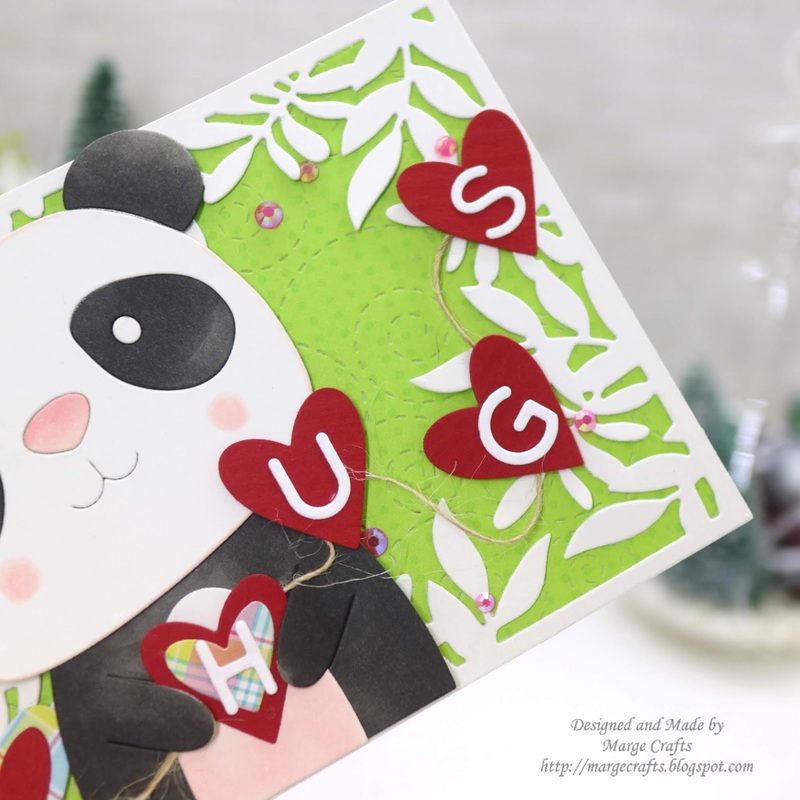 I started by diecutting Big Picture Book Panda Dies and Little Body Dies out of Ivory Card Stock and coloring the pieces using my Copic Markers. The copic colors I used were W10-W9-W8 for black and R32-R20-R30-R00 for pink. I then assembled the pieces to an adorable panda by using double sided adhesive tape. For the background, I used Stitched Whirl Background Dies & Lawn Fawn paper 6×6, Leafy Frame Dies & Ivory Card Stock. I then slipped a heart I made using Clipping Heart Die on his hands. I really love how Little Body Dies let our critters hold things on their hands . Too cute, isn't it? I made more hearts and connected them with a string to make a garland. For letters, I used Small Rounded Alphabet Dies set which is also part of new Dicember® release. Here's another design featuring Little Body Dies which perfectly matches with any of Big Picture Book critters. 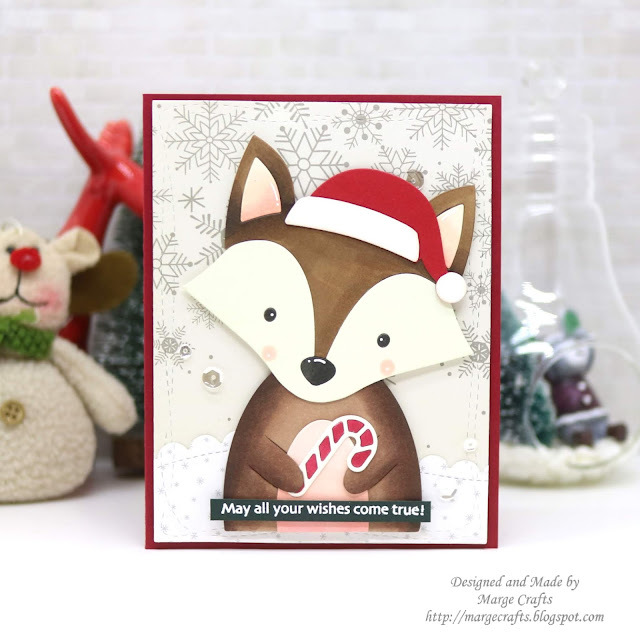 I used Fox Dies from Simon's STAMPtember Release. 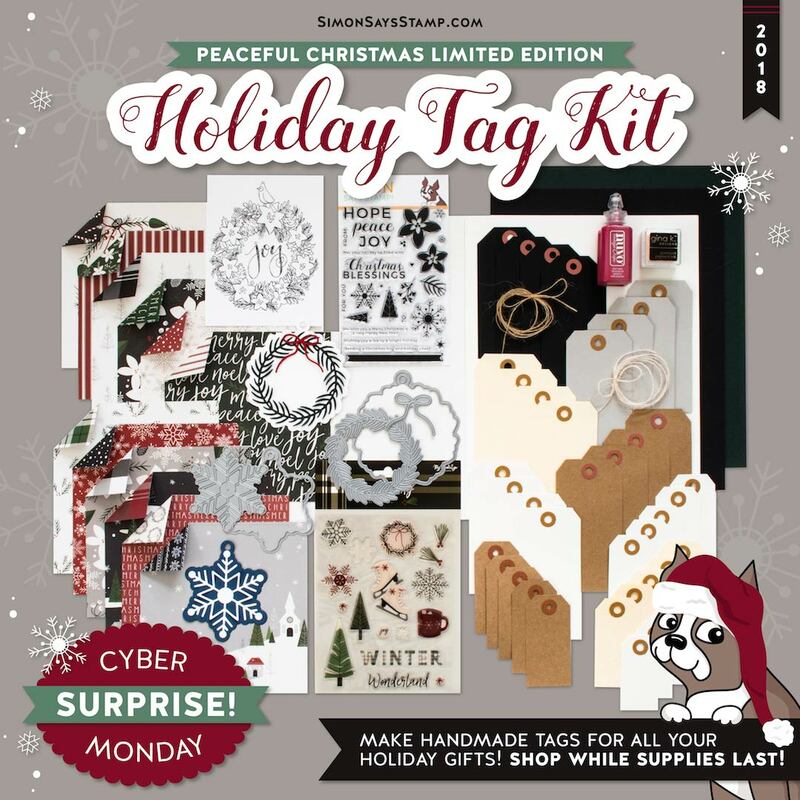 Supplies : Winter Scene Stamp set, s, Christmas Icons Dies, Winterberry 6×6, Lawn Fawn paper 6×6, Wonky Rectangles Dies, Wavy Scallop Stitches, Sparkling Clear Sequins Mix, Critter Huggers Winter add-on. If you love Big Picture Book collection, then this Little Body Dies is a must-have! My next two cards features Small Rounded Alphabet Dies set and I've summarized details breifly below each photo. 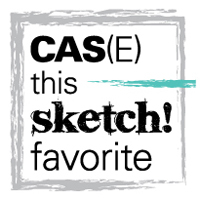 Supplies : Small Rounded Alphabet Dies , Nested Talk Bubbles Dies, Neenah Texture CardStock, CZ design Simple Sentiments No.1, foam tape, Twine, various colors of cardstock & copic markers. 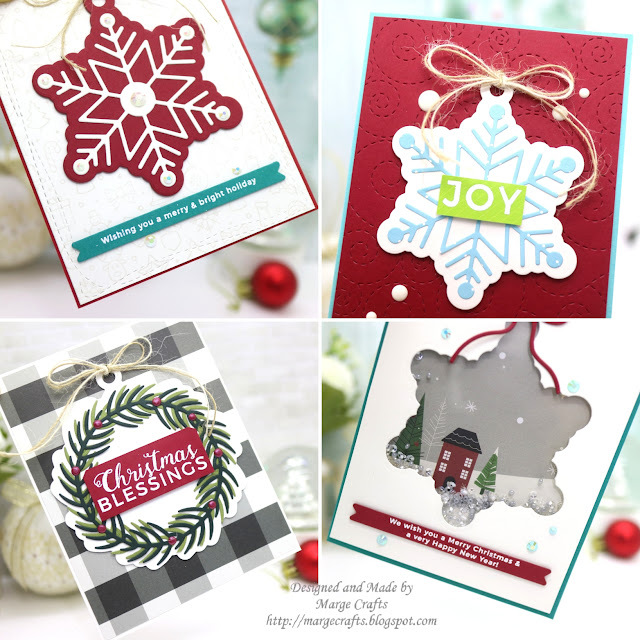 Supplies : Small Rounded Alphabet Dies, Kadyn Snowflake, Wonky Rectangles Dies, Drifting Stitches Borders, Neenah Texture CardStock, Rainbow Christmas paper, Pearl White Jewels, Midnight Black Jewels, Wink of Stella Clear. Now your next stop to hop along isAnna-Karin's blog. 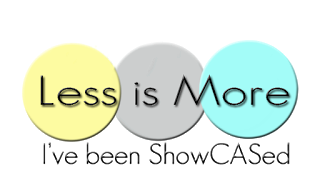 Thank you so much for your visiting and be sure to visit all the blogs listed below. I know you will get a lot of beautiful inspiration. Don't miss the sales and giveaway information, too. 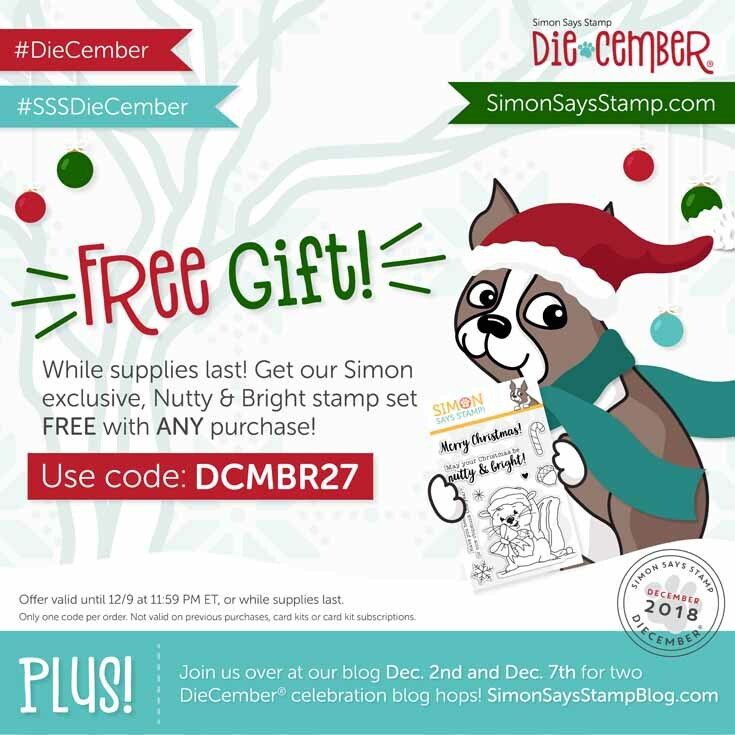 Use the code DCMBR27 with your purchase at Simon Says Stamp Store. You will get a free Nutty & Bright stamp set (while supplies last!) with any purchase. The code will expire Sunday, 12/9 at 11:59 pm EST. Visit Simon Says Stamp DieCember Gallery for more inspiration and share your creations there, too. Don’t miss our Facebook Live Friday, December 7that 12:30 pm EST! It’s always great to have you pop in and participate, and this time there will be some guests on camera!